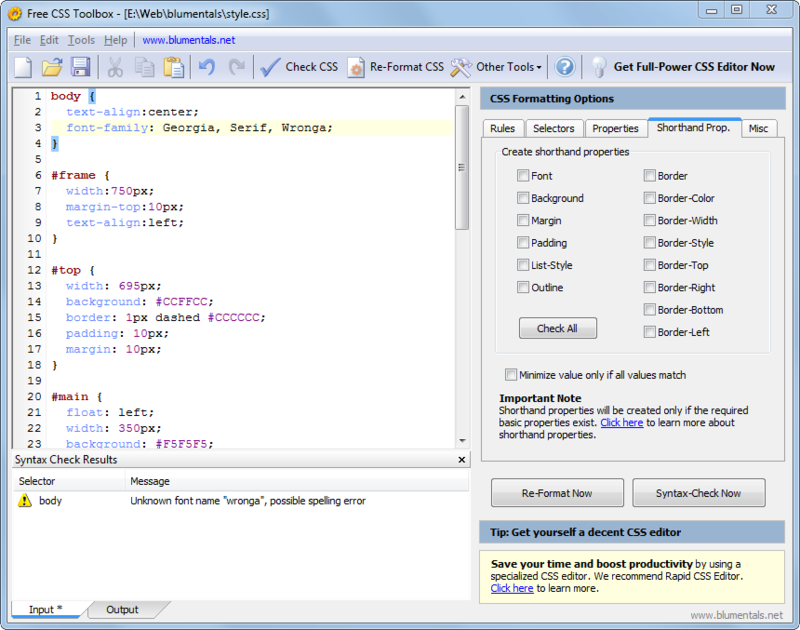 Free CSS Editor has a very simple and easy to use interface which consists of code editor with syntax highlighting and several valuable CSS tools. 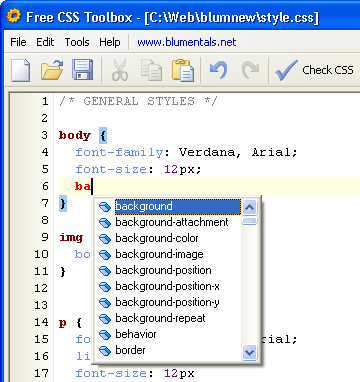 CSS editor features include syntax highlighting, simple auto complete and basic as-you-type error-checking. With CSS formatter, you can quickly re-format any CSS code to make it prettier and easier to read. 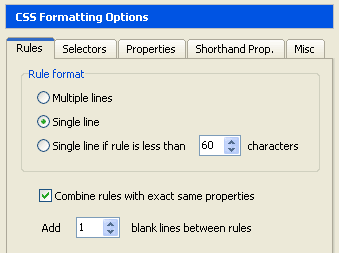 You can also re-format any CSS code to comply with any particular coding standards. CSS checker allows you to validate your CSS code against various CSS specifications and Web browsers. Other tools include CSS compressor, which can reduce the size of your CSS by up to 70% and integration with W3C CSS Validator service.